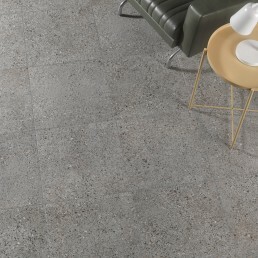 Manhattan, a craquele effect tile collection that carries a very different appeal to other craquele effect tiles. Maybe it is the deep ocean like shades that make the range stand out. 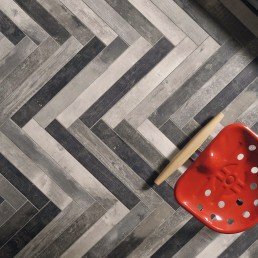 "The Manhattan range is a glossy craquele glazed ceramic tile with an undulated finish, creating a hand made effect tile. An original, highly exclusive choice: the “Manhattan” series. Surprising listel tiles in glossy craquele watercolour and nuanced shades, with shaped surfaces, bringing to life warm, charismatic, sunny Mediterranean ambiences. 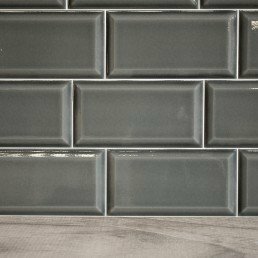 Manhattan Craquele tile collection consist of various shades, we stock two distinctive shades Azzuro (blue) & Smeralda (green). 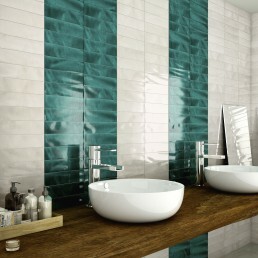 These glossy craquele tiles are definite statement pieces. The unique design of this craquele range is outstanding. Their is an intensity in the pigment used to create this exclusive collection. The different shades echo the colours of the mediterranean sea which surrounds the coast of Italy. 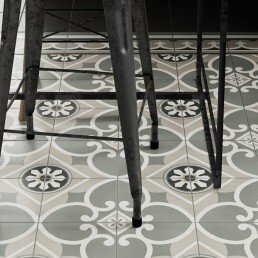 This craquele tile series has a handcrafted effect. The colour has been applied in wave rather than using heavy block colouring. The beauty of nature increases the application possibilities. 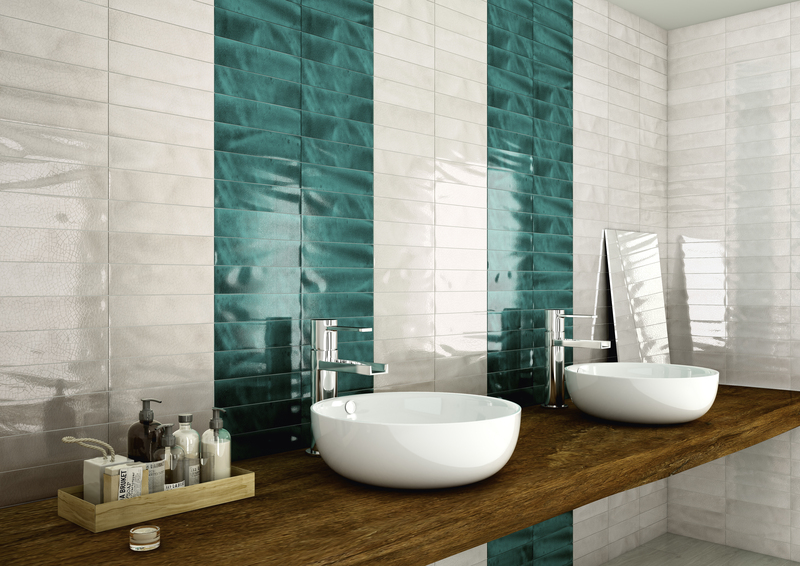 The ocean like shades of these craquele effect tiles create a sophisticated and harmonious setting. Impressive sizes, natural patterns and chic colours work together harmoniously and elegantly. The Manhattan craquele collection to express an innovative aesthetic for any interior.